The last few weeks have been kind of crazy, and I tried my best to be consistent in posting on here. Mostly in an attempt to keep my sanity. But it’s all for a good reason. On Monday, I start a new job in the marketing department at a local university—the one where I went to school for both undergrad and graduate school. I’m so excited to go back to campus and work for a school I still love so much. The process all happened fairly quickly; I applied for the job a month ago yesterday, and the time between my application, interview, and the “call” was two weeks. So that’s why I feel like I’ve just been running around trying to get my life together. Yesterday was my last day at my job at the marketing agency where I interned during college and worked at since June 2016. I’m grateful for the experience and my co-workers, but I couldn’t pass up the opportunity to become a Golden Bear again. I came into Red Sox balloons, gifts and a card, brownies, and an iced pumpkin chai latte from Starbucks. My co-worker Kristen—the one who runs the 5k races with me—organized everything, and I’m lucky to have a friend like her. I had spent most of last week putting together notes and information on all of my clients for my co-workers and letting my clients know I was leaving. The last few days was just tying up loose ends and working on a couple last projects. I packed up my desk and left before 3:00 p.m., because everything was all set at that point. The pouring rain outside made for a rather tricky and wet exit. Today was my only day of “unemployment”. My mom and I went for breakfast and went shopping before I have to scoop tonight. With the timing of everything, I could only really take today off before starting. Which I’m okay with, and once the ice cream shop closes for the season on October 28, I’ll have my weekends back and a little more free time. I’m not sure what my blog schedule will be for next week, but I’m hoping to get a first week post up by next weekend. Anyone have any advice for starting a new job? Previous My Answers to Your Questions! Congrats on the new job. Best wishes! Oh this sounds exciting! Congratulations on the new job and I hope that it’s everything you expect and more! Thank you! I hope so, too. It feels like going back home since I still love the school so much. Congratulations on the new job!!! That was so sweet of Kristen to put all of those goodies at your desk on your last day. ♡ & the pizza party sounds like it was a blast! I’m the worst at a new job so I don’t have much advice! But I know you’ll do great!! 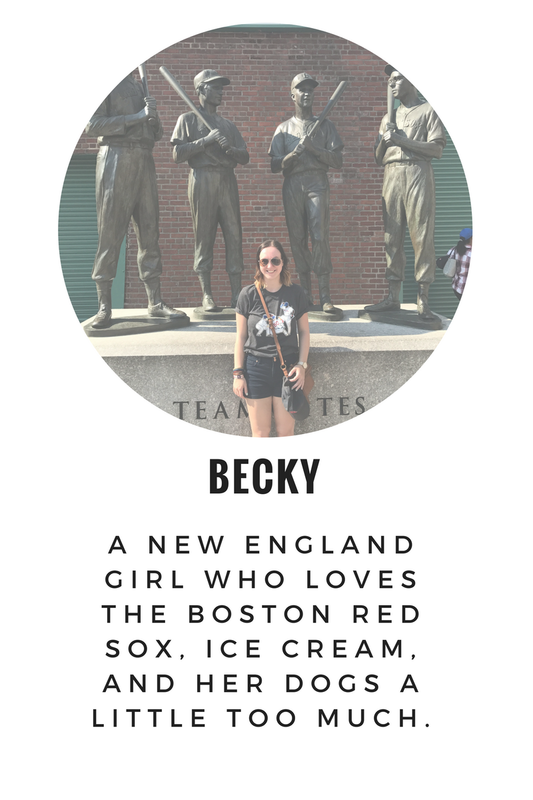 Congratulations Becky! That’s awesome. Advice: Just be nice to everybody and smile a lot. You’ll do great.